Some of these decisions have undoubtedly received popular support from far beyond America’s shores. Washington’s withdrawal from the TPP was welcomed by the People’s Republic of China. During the Obama presidency, Xi Jinping strongly protested the exclusion of Beijing from the TPP. In the case of the TTIP, European allies for the most part were strongly opposed to the treaty because European multinationals would be subjected to sanctions and fines from American authorities. The climate agreement, placing important limits on CO2 emissions as well as imposing regulations governing pollution, has been strongly resisted by US energy oligarchs. The withdrawal from the Paris accord has satisfied a substantial proportion of Trump’s donors linked to the hydrocarbon industry and beyond. Finally, the abandonment of the JCPOA was praised by Riyadh and Tel Aviv, two essential partners in Trump’s domestic and foreign strategies. Observing the consequences of these political choices in the months since, it is easy to see how the world has reacted in a more or less similar fashion, which has been by ignoring the United States and emphasizing cooperation amongst themselves. The TPP, with its agreements between 11 countries, has remained in place without Washington. The development of relations between ASEAN and China continues on without Washington’s participation. While the TTIP has been halted, the Comprehensive Economic and Trade Agreement (CETA), is in its final approval stage, an agreement between Canada and the EU that bypasses the American-inspired TTIP. The Iran deal remains in force despite Washington’s cowardly withdrawal, and the five countries remaining in the Iranian nuclear agreement have every intention of respecting the JCPOA, which had been negotiated over a number of years. In addition to withdrawing from the above treaties, Washington has started a serious trade war and is imposing tariffs on allies and enemies alike. From Russia to the EU, as well as China, South Korea, Japan and Turkey, everyone is facing the unprecedented decision to apply tariffs on trade. In Trump’s mind, this is the only way to balance a trade deficit that has now reached more than 500 billion dollars. In addition to the dismantled treaties and imposition of tariffs, Trump strongly criticized some pillars of the post-World War II liberal order, such as NATO and America’s European allies themselves. The suggestion that NATO may be obsolete has shaken the European capitals to their core, even as the Russian Federation may see it as signalling the prospect of positive relations with the United States. Later it was understood that Trump’s strategy was to present himself before his electors with tangible achievements, in this case a substantial increase in military spending by NATO countries in Europe. Trump wants a commitment of 2% of GDP to be spent on defense, and NATO’s leaders are now agreeing on the need to invest more money. Finally, the devastating blow came with the abandonment of the Iranian nuclear agreement, creating significant tensions with European allies. Washington has decided to impose sanctions on companies that do business with Tehran from November 2018. The EU immediately passed a law to shield EU companies from American fines, but many French and German companies appear to have already abandoned their projects in Iran, fearing Washington’s retribution. Trump even began directly targeting historical allies, first strongly criticizing May in the UK over the slowness of Brexit, then Erdogan’s Turkey for the purchase of the S-400 system as well as the detention of an American pastor (accused of having participated in the attempted coup of 2016), and giving the green light to Saudi Arabia for its commercial and political war with Qatar, a close ally of Turkey. In this uncertain and unprecedented environment, Donald Trump’s best friends are Israel and Saudi Arabia, with the Italian government offering a friendly face in Europe, the only big European country not opposed to The Donald. The Italian government intends to present itself in contradistinction to France and Germany, returning to influencing the European decisions. We shall come to see how valid this political path is, especially in light of what Trump will ask Conte in exchange for political support, especially with regard to Libya and on various trade and tariff issues. Trump seems to have understood the message coming from Beijing and Moscow regarding the inviolability of their territory, their spheres of influence and their sovereignty. For this reason, Washington’s aggression seems to be focussing more on the economic arena. Trump has weaponized the dollar and is wielding it against allies and enemies alike to extract benefits for the United States. What the current administration intends to do is use the status of the dollar (already a reserve currency and the medium of exchange for such things as oil) as a weapon against adversaries and allies. And it is painful for those at the receiving end, given that the global economy revolves around Washington and the dollar. The methodology of color revolutions, in the light of the protection now being offered by the likes of Russia and Iran, was employed in the place of direct military intervention (as occurred in Iraq and Afghanistan) in other theaters (Libya, Ukraine and Syria). After the wars in 2002 and 2003 in Iraq and Afghanistan, China, Russia and Iran drew a red line regarding Washington’s interventionism. The effectiveness of color revolutions was diminished when the Russians, the Chinese and Iranians started expelling the various NGOs funded by the likes of Soros and other globalist financiers to bring about regime change under the cover of democracy and human rights. The outlook of Washington’s political establishment is based on military hard power that is now inferior in offensive capability than the Sino-Russo-Iranian one, ensuring the strategic independence of Eurasia and its partners (Turkey, India, Qatar, Pakistan, Lebanon, Syria, Libya, Egypt, the Philippines, etc.). In terms of color revolutions, the artifice has now been brought to light, and countries on the receiving end of such attacks can now recognize them and quickly act to forestall them, as happened in Hong Kong in 2014. Donald Trump seems to have resorted to the only weapon left available to him, namely, the economic power of the US dollar, offering him the opportunity to shape events. It is a strategy with short-term benefits by devastating effects for Washington in the long run. Indeed, the only way to combat US financial dominance is to ditch the US dollar for other currencies. Washington’s economic power derives from the use that the world makes of the dollar. 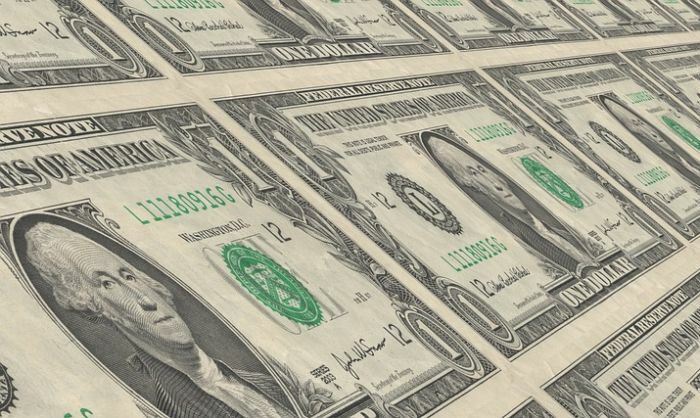 Clearly, then, Trump’s decision to use the US dollar as a weapon will cost his country dearly in the future, the dollar probably bound to lose its role as a global reserve currency. As history has shown, when a reserve currency is transferred to another currency, the empire that depended on this reserve-currency status itself went into decline. This occurred with the France and Britain, and it will likely occur with the United States.